In our universe its all about frequency and vibration (and energy, of corse). If you are aware of this fact you will realize, that life is driven by rhytms, and their circles. Long time before the first manmade ‘real music’ (probably beside singing )arised in our human history, our ancestors discovered the magic of rhytm. 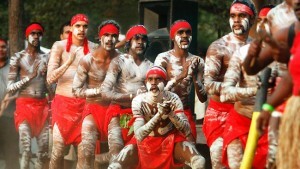 In one of the oldest living cultures on this planet, in the Australien aboriginal culture they say, that the rhytm is the language, you can use to talk to the time. By learning and using this language, you can connect with yourself and the universe – and it can help you to get deeply aware of the present moment. All you need for learning and using this language, you have with you. Start clapping your hands, and the magic starts. 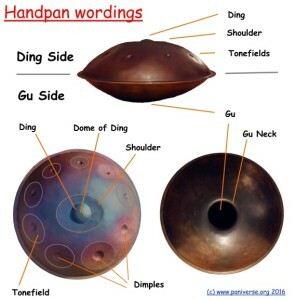 A PANTAM / HANDPAN is a beautiful tool, for learning and practising this language of time. 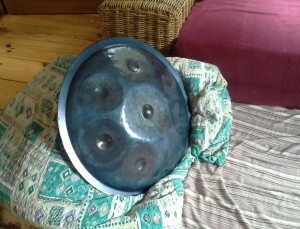 You can say, with the PANTAM / HANDPAN you can chat with the universe in a very nice and beauiful way. 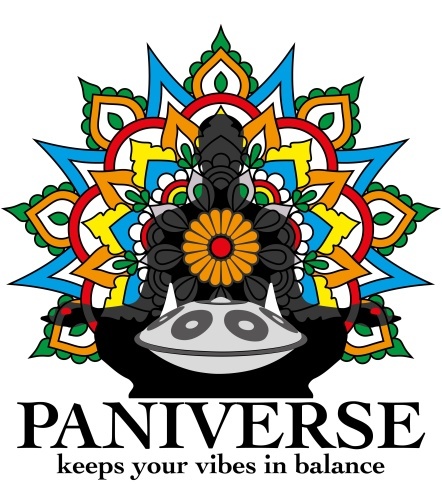 Since the individual sounds of a well tuned HandPan is always a combination of at least 2 frequencies, the sounds of PANTAMS is so unique and loved by so many people (and many animals as well ) around the world . 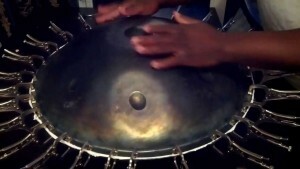 How does it work, to get such a beautiful and unique sound out of the PANTAM / HANDPAN ? 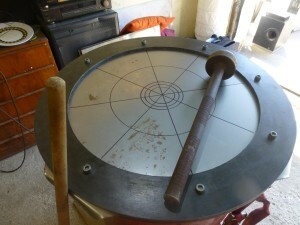 In our “modern times” the view, that everything can be done and produced by machines and computers in much better quality than human could, the PANTAM / HANDPAN shows, that this is a wrong view. 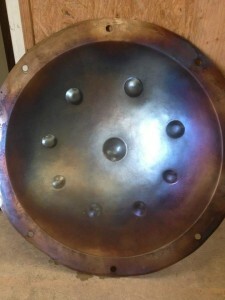 PANTAM’s / HANDPAN’s are handmade by real people – no machine, no computer could build. The tuning is a very complex challenge and just a few people around the world are able to produce really good tunings. 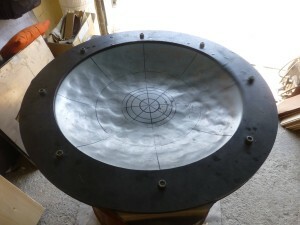 There are HandPan builders out there, who have been very experienced with building fe. 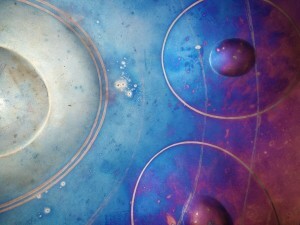 steeldrums already for many years. 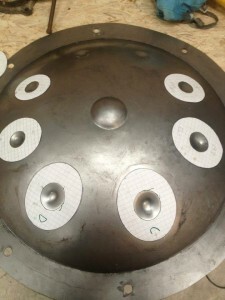 But when they started to build HandPans, they needed to invest lots of time, material (money), sweat and probably tears, to get the first nice sounding Pan out of their process of learning….it needs probably lots of knowledge, experience, patience, talent, passion, love and a little crazyness to build this Sound Sculptures. Just my perspective, i am not a Pan-Builder. 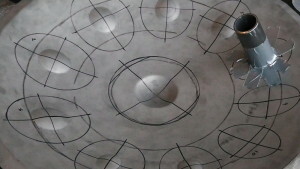 All the Tonefields are shaped elliptical. When the Tonefield/the Dimples/the Ding gets a beat by the player, the two axis of the field start swinging and a sound is born. Because of the different length of the 2 ellips-axis this sound is created by two overlapping, harmonic but different frequences. Advanced players are using this knowledge, to “filter” frequences. 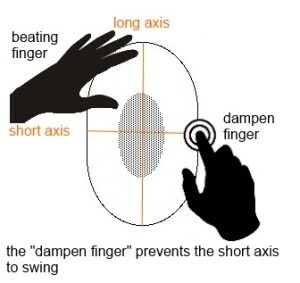 You can ‘press’ one finger on one of the axis to prevents the swinging of this axis. In this way, you get out much more different sounds from just one Tonefield. 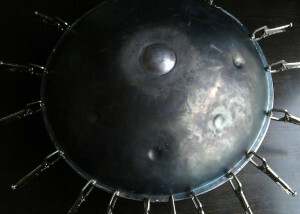 All PANTAM’s / HANDPAN’s with good sound i ever was listening or playing, were made from steel, nitrided steel or stainless steel. 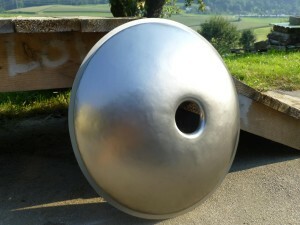 The material which is used for this Sound Sculptures is essential to its sound. There are lots of different methodes to enoble the steel and influence the vibration behavior of the steel – and thus the sound. 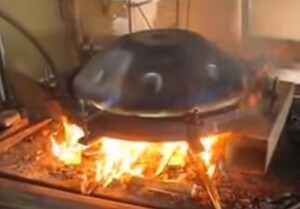 The most common and “easiest” way to enoble the steel is heating up and cooling down in a special way. The steel is getting harder and so the sound gets more clear. 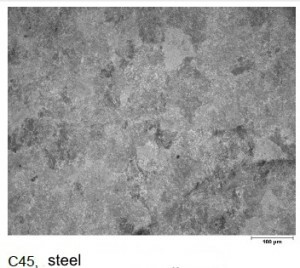 A more complicate, costly and not easy to manage way to enoble the steel is nitriding. 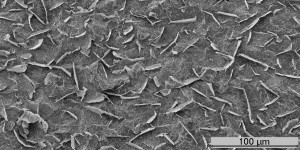 Nitriding is a process that is used to generate a unique duplex microstructure on the steel-surface. 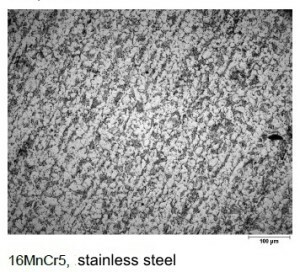 This means basicly, that the “crystal-structure” of steel gets straightens – which makes the surface harder and results in a much better, more hamonic vibration behavior of the steel. 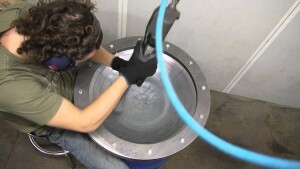 The patent PANart® holds about the Hang (as far as i know), is mostly about the special way they use for nitriding the steel they have used for building the original Hang. 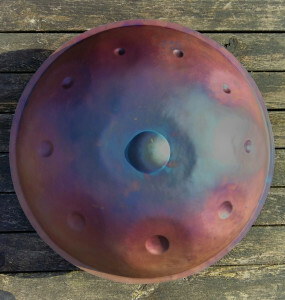 PANTAM’s 7 HANDPAN’s are handcrafted in a complex process as individual pieces . At the process of tuning, the tuner hammers several overtones into every Tonefield. 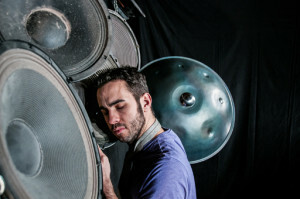 Tuning a PANTAM / HANDPAN is an Art and calls for great skill, experience and patience. So far there are just a few instrument makers around the world, who understand the art of producing these instruments in good quality . 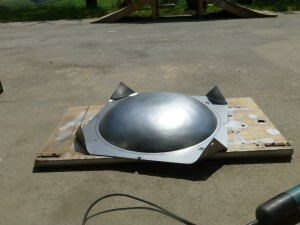 start the process… planning the geometrie and shape …. 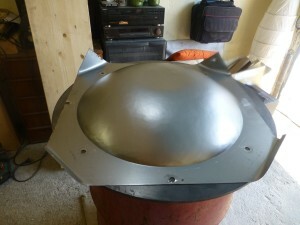 start to hammer the two basic shells. One “Gu Side” and one “Ding Side”…. 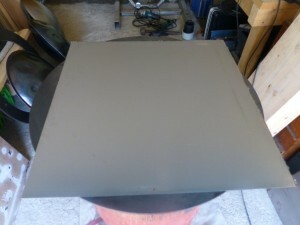 Building the “Gu” and finish the “Gu Side”……..
Start to build and hammer the “Ding Side” . and finally it gets glued ! 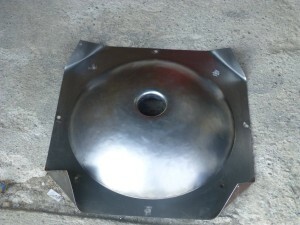 …..a new HandPan is born. 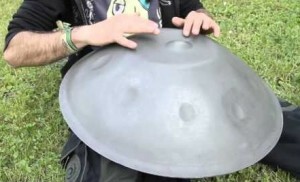 There is a great video as well that covers the basic Handpan knowledge and also how to buy one ! Check it out here !